"We will provide a Coal Rank Kit (contents shown to the right) to any teacher at $9.00 for the cost of kit, includes shipping and handling. Click here for ordering information. 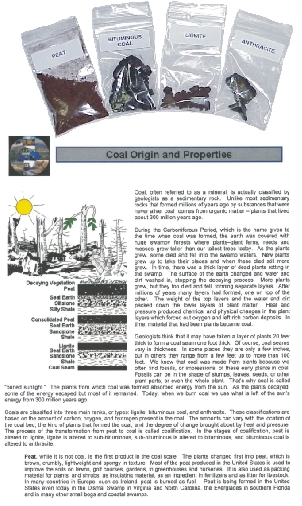 Contents of kit include information sheet plus samples of Peat, Lignite, Bituminous and Anthracite coal.